During the 1850’s the ice industry continued to expand within the United States. In 1855 New York City alone sold 75,000 tons of ice, 25 years later, New York’s ice consumption grew to 2.5 million tons. 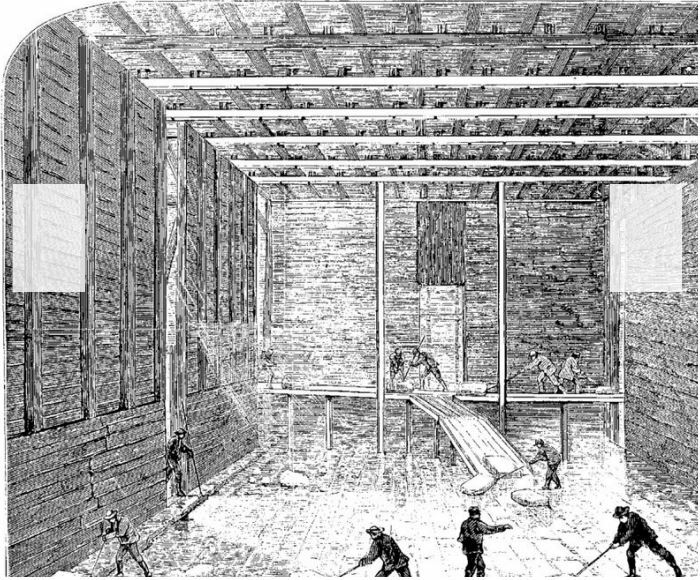 The Hudson River had over 130 major ice houses employing over 20,000 men. Ice tool manufactures were producing catalogs and selling ice tongs, picks, ice boxes, etc. all along the east coast. In 1853, the American-Russian Commercial American Company of Alaska was formed in order for California to purchase ice from the Russian controlled Alaska.